One of the primary arguments in support of cannabis legalization is the way in which growing evidence suggests that it is in fact nowhere near as harmful as critics suggest. Quite to the contrary, it’s become blindingly obvious these days that cannabis has the potential to serve as a safe and effective treatment for an endless range of conditions and chronic diseases. At the same time, there are very few out there – even on the pro-pot side of the fence – who would honestly try to convince you that cannabis is ‘good for you’. Or more specifically, something that is absolutely unequivocally beneficial and only stands to make you healthier, stronger and in generally better shape, the more you use it. Quite to the contrary, the best majority of cannabis connoisseurs and experts have always argued that responsible moderation is the way to enjoy cannabis. As more regions all over the world introduce the most relaxed cannabis policy in history, some experts are highlighting the importance of intensifying efforts to reduce the potential harm associated with prolonged or excessive cannabis use. As it stands, data with regard to cannabis use and reported instances of cannabis-related problems is somewhat contradictory. For every report published that speaks of cannabis legalization leading to increases in such instances, another appears suggesting the truth is actually the exact opposite. Readily available cannabis does for the most part appear to be reducing its appeal in the eyes of younger and underage audiences. At the same time, experts believe that health officials should be adopting a proactive and forward thinking-attitude, when it comes to the warnings and advice they publish. Roughly translated, the time has come to move far away from outdated rhetoric and pointless propaganda. Instead, it makes far more sense to focus on the facts, the reality of cannabis culture and the kind of advice that makes sense. Researchers at King’s College London and UCL made their voices heard this month, stating that health officials should be targeting the genuine dangers of cannabis use, rather than those with no scientific backing. 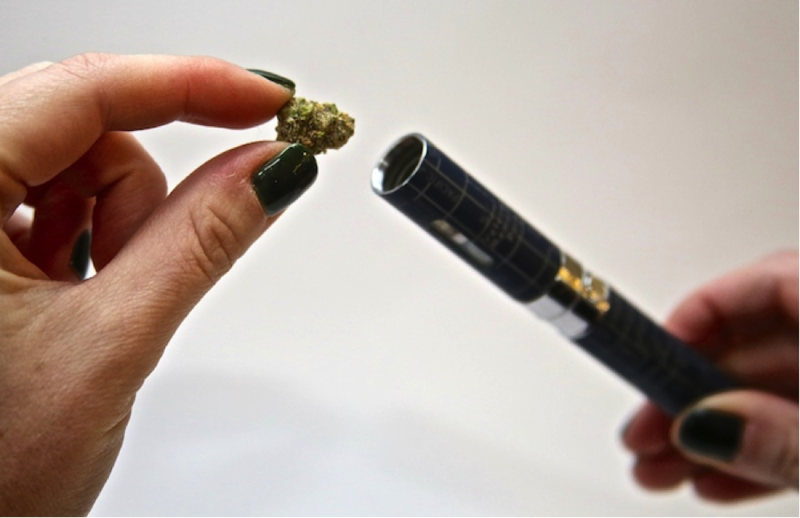 One primary example being that of advising cannabis users to immediately and permanently stop mixing cannabis flowers with tobacco when rolling joints, or to switch away from joints entirely and use vaporizers. While it’s comparatively rare for cannabis users in many nations and regions to ‘pollute’ pot with tobacco, it’s the normal everyday standard in places like the United Kingdom. Of course, there is absolutely nothing that can be done to enforce this kind of guidance, but it nonetheless represents a few words of wisdom that make perfect sense. The concern of those pushing for greater focus on the use of tobacco is exactly the same as those campaigning for outright tobacco prohibition. While there may still be a great many things we do not fully know about cannabis, there are two things that have been proven comprehensively and could not be of greater importance. One being that cannabis is not addictive, the other being that cannabis use has not been associated with lung cancer. Suffice to say, add tobacco into the equation and you immediately bring both the dangers back in. There is absolutely no disputing the fact given the evidence on the table that cannabis is in no way a gateway drug. However, this doesn’t mean that countless cannabis users who initially start out smoking cannabis mixed with tobacco do not end up hopelessly addicted to nicotine and thus start smoking tobacco full-time. This in turn vastly increases their risk of developing a wide variety of dangerous and deadly diseases – none of which would apply if they were using cannabis without tobacco. In the United Kingdom, it has been suggested that the way in which smoking cannabis in conjunction with tobacco is the norm for the cannabis community in general is one of the reasons why health authorities and the government in general are reluctant to relax cannabis policy. They see it as inevitable that if cannabis was to be legalized, it would inherently lead to a greater number of tobacco smokers. On the flipside of the coin, cannabis advocates argue that it’s actually quite to the contrary. The way they see it, it is a simple case of logic that is hard to dispute. Cannabis is illegal, which means there isn’t a great deal of it around. As there isn’t a great deal around, it isn’t particularly easy to get hold of and prices tend to be elevated. Which in turn means that when most people get their hands on quality cannabis, they want it to go as far as possible and last as long as possible. Which in turn means that the idea of mixing it with tobacco has obvious appeal. If quality cannabis were readily available at a reasonable price and comprehensively decriminalized, there simply wouldn’t be any logical reason to mix it with tobacco. Of course, this is far from the only idea health groups have up their sleeves when it comes to ensuring that cannabis use remains as safe and sensible as possible. Unfortunately, many such ideas are entirely illogical and make no real sense whatsoever. One primary example of which being the way in which health authorities in areas where cannabis has been legalized are floating the idea of placing a ‘cap’ on the strength of cannabis. Roughly translated, THC levels above a certain potency would not be allowed, while lower-strength cannabis would. On the surface, this comes across as a fairly simple solution to the problem. In reality however, it simply wouldn’t work. First of all, there would be absolutely no realistic means by which the measure could be enforced, given the way in which millions of people have the legal right to grow cannabis at home. It would be fundamentally impossible for THC levels and potency in general to be checked – on-the-spot checks also being completely out of the question, for obvious reasons. Not only this, but reducing the permitted potency of cannabis to any extent would make absolutely no difference whatsoever to those looking to get as high as physically possible. The reason being that all they would need to do is simply use more of the stuff. If anything, it could be argued that high-potency cannabis of the highest quality is the very safest way to go, given the way in which you only need a tiny bit of the stuff, rather than half a handful. In any case, attempting to mislead the public into thinking the strength of cannabis is a problem or has anything to do with the public health issue is both counterproductive and dangerous. By contrast, urging cannabis users to move away from tobacco as quickly and permanently as possible makes total sense. Which is somewhat ironic, given the fact that this is the half of the equation that is comprehensively legal and barely even controlled. 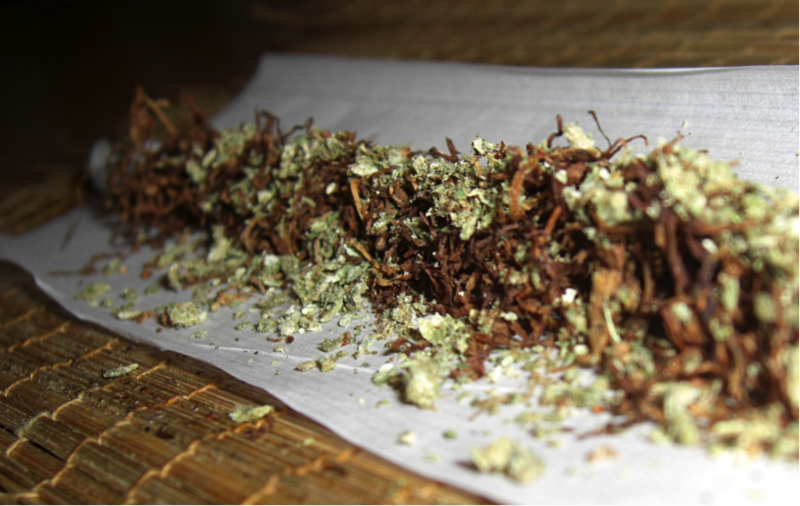 Will removing tobacco make it more likely that the UK will legalize? Tell us what you think below.